Get back in your box Annabelle there’s a new demonic doll in town. Adeline Gray’s attempt to escape bombing in her home town leads her to a derelict, creepy manor in the woods. 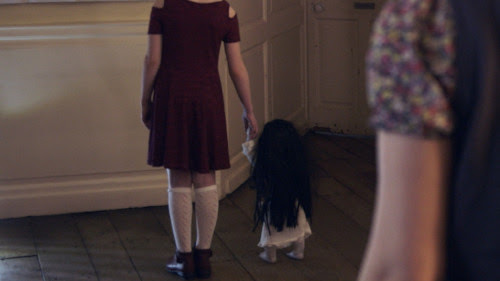 When Adeline’s young daughter goes missing during a game of hide-and-seek, a series of inexplicable events lead her to believe a haunted doll holds a vengeful soul; the soul of a murdered Witch. 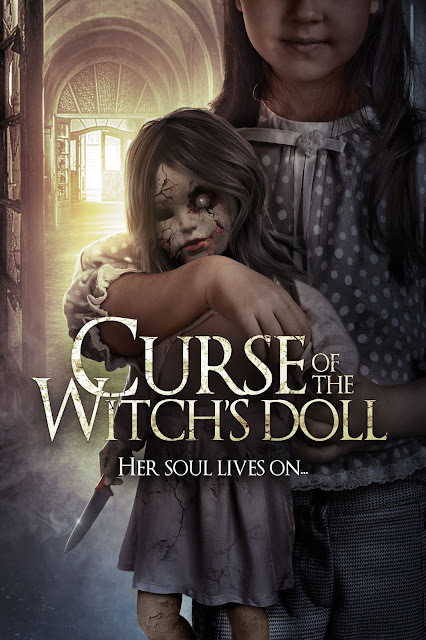 As Adeline’s desperate search for her daughter continues, it soon becomes clear; to have any hope of being reunited, she must defeat the curse of The Witch’s Doll. Below we have the official poster and trailer. Helen Crevel, Michelle Archer, Claire Carreno star in Lawrence Fowler's film CURSE OF THE WITCH'S DOLL out now on VOD. A DVD release will follow 6th March and a SVOD release on 5th June.